i would…but it involves complex algorithms, violation of the space time continuum, and an M&M. 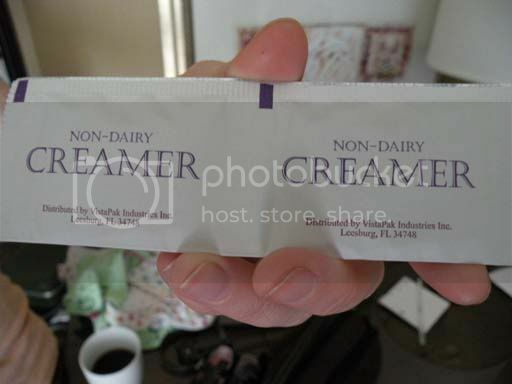 Like many of the products made for people with Celiacs, the company producing the product failed to realize in production that they were using a milk derivative (as pointed out in the ingredients). Usually it's expensive to modify these things and, because the derivative does not react strongly to people which are lactose intolerant or have other milk related issues, the product is labeled in the very "M&M" fashion and shipped out to everywhere. It remains non-dairy, however, because it does not use the common components of milk which would allow it to fall into the dairy category. 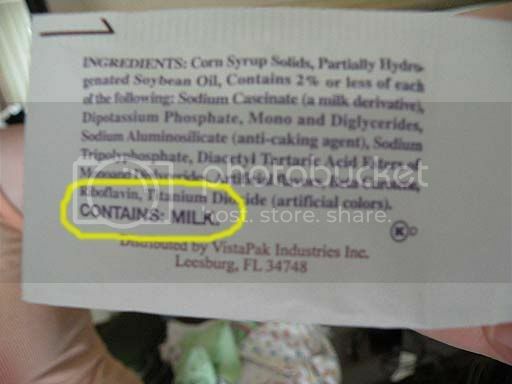 Gotta love the FDA. Steve, there was no space time continuum violation in your explanation, I'm very disappointed. Wow Steve… you're a dork.